As the colder, winter weather is now here we start to wonder if our babies that wake over night are cold? It is not easy to gauge what to dress a baby in overnight to make sure that their comfort is safe and suitable for the weather conditions. For many wakeful babies during winter, this can be because they are too hot and waking from thermal stress. Locating that balance between keeping your baby warm but not too hot is a difficult medium to find. Around Australia there are so many different climates to consider and this needs to be taken into account when deciding how to dress your baby overnight. As you can imagine a baby in Broome, Western Australia in a tropical climate would have different needs to a baby in Hobart, Tasmania. It is very hard to give general advice due to difference in weather, but also the type of home/environment you are living in and your baby’s natural preferences. A basic guide to go by is to dress your baby for the temperature that will occur around 4am. If you are in parts of Queensland, it may well be very similar to the same temperature when you first settle your baby to sleep in the evening. However, in Perth for example, the evening temperature may well be a good 10-15 degrees warmer than the expected 4am temperature. If there is a big difference and you find your baby is too warmly dressed at the beginning of the night, but will need that extra warmth later in the night, you could consider slightly opening a window or door to allow extra air flow, or an oscillating fan to move the air around; then closing the window, or turning off the fan as you head to bed yourself. A fan moving the air was also noted to assist reduced SIDS ( Sudden Infant Death Syndrome) and SUDI ( Sudden Unexpected Death In Infancy) rates. “The mechanism for this protective effect is unknown, but the authors of studies suggested that fan use may reduce rebreathing of exhaled carbon dioxide trapped near a baby’s airway by bedding.” – Quoted from Rednose website.With this knowledge, it is also important not to cover up babies sleeping out in prams so much that there is reduced air circulation that can contribute to rebreathing of carbon dioxide. No matter where you live, the use of a heater or air conditioner all night to warm your baby’s room is not advocated. Thermal stress, or overheating is a major contributor to SIDS and we highly recommend you check the Rednose (formerly SIDS and KIDS) website for current safe sleep recommendations. Babies regulate much of their temperature through their head and their face. A study published in 1995 by Tuffnel et al found that heat loss in tummy sleeping babies is 60% less effective that non-tummy sleepers. If a heating device is left on in a baby’s sleep environment overnight, there is nowhere for the baby to transfer heat from their head into the environment and the baby will then overheat – therefore potentially risking a SIDS incident. If you have a cool environment for you baby to sleep in, you may wish to heat the room before they go to sleep but make sure that you turn it off before they go to sleep and for the rest of the night. Do not use electric blankets, wheat bags or hot water bottles in a baby’s cot. Babies need to sleep in winter without bonnets or beanies on their head and no hoods on their sleep clothing. Dress their bodies warmly, just as you would to keep warm but not too hot. Sleeping bags are ideal and babies can be layered up or down with cotton to keep them warm. 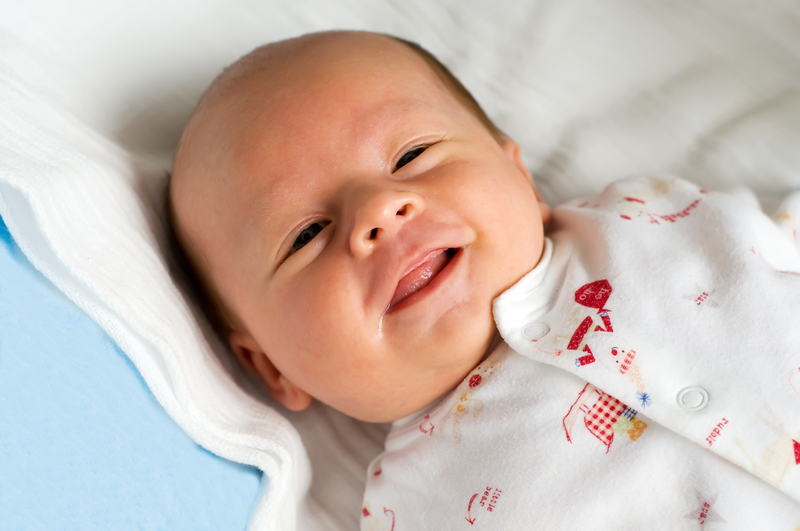 Avoid using synthetic materials that do not allow the baby’s skin to breathe and regulate temperature. Older babies that are more mobile in the night as they move around their sleep space, are better suited to sleeping bags as they then move their covers with them. These babies will not stay under blankets to keep warm and risk covering their heads with blankets which then puts them at risk for SIDS. 5. No heaters or air conditioners on through the night. As baby sleep specialists, we are given the privilege of being in the homes of babies on a regular basis. We are also constantly surprised at how hot the sleeping environments are for babies to sleep in during the winter months. While their rooms are warmed with the best of intentions, we have seen by turning them off and ensuring they have warm layers of clothing to go to sleep in, that babies sleep better just with this simple change. If you are struggling with leaking nappies overnight and worried that as they leak it will make your baby cold, we recommend a double nappy for your baby so any excess will leak into the outer layer, or you could add a cloth nappy and pilcher over the nappy to absorb any leakage. As the winter season sets in, we can dream of the warmer springtime arriving, but for now keep warm and safe.